Disclaimer is a contemporary psychological suspense novel with a domestic setting and a cast of middle-class Anglo characters. As a first-time novelist, Renée Knight performs better than might be expected in this mode, probably owing to her background in directing and writing for TV and film. Knight creates a protagonist with whom a fair proportion of the English-language crime fiction reading demographic can relate to in one respect or another. Catherine Ravenscroft is a 50-year-old working in a white-collar profession in London in 2013. She and her long-time husband, Robert, have one adult son, Nicholas, and live in a modern townhouse. Knight’s story opens with a clever premise. On beginning to read an everyday-looking novel, Catherine discovers it gives an inexplicably knowing account of a horrifying experience she had back in 1993 and has kept secret ever since. At a Spanish beach she had briefly turned away from supervising her son, then a feckless five-year-old, and the boy would possibly have drowned had he not been rescued by a young, lone Englishman, Jonathan. Worse still, Jonathan did die, drowning moments after he saved the boy from being carried out to sea. Apparently feeling persisting guilt for her negligence and the death it led to, and hoping to protect her son from the traumatising knowledge that he almost drowned, Catherine has not spoken of this experience for 20 years, not even with her husband. Yet now she discovers she is being targeted by some vengeful pseudonymous author who has not only written this lightly fictionalised account of her Spanish experience but wishes her dead and has included an imagined description of her dying after being pushed onto railway tracks in front of an oncoming train. Alternating chapters are told by an elderly widower, Stephen, the man who has privately published the novel and contrived to deliver copies of it to both Catherine and her son, anticipating it will cause familial and marital torment. Stephen discovered the manuscript among the effects of his wife, Nancy, after she died of cancer and recognised it as an embittered account of how their son Jonathan came to die by drowning, apparently after having had a brief, lusty affair with the mother of the child whose life he saved. The fallout from the novel’s intrusion into the lives of the Ravenscrofts becomes progressively more complicated and damaging until in chapter 51, around the 250 page mark, the ‘twist’, the necessary revelation finally comes. Through a face to face confrontation Catherine has with Stephen, we learn a lot more about what happened in Spain, and this unpleasant knowledge helps us to understand why Catherine chose from the start to keep her experience secret. On my first reading of Disclaimer I found the long haul through to the revelation and then on again to the novel’s sweet-and-sour ending rather trying. The pacing was slow but dogged, the mundane details were innumerable, the switches between narrating voices and past and present tenses threatened to become tedious, and a certain amount of implausibility had to be borne with. I was uncertain whether I would want to recommend this novel. However, when I began to re-read Disclaimer, this time knowing how it would come out, I recognised Knight’s skill in preparing for her denouement. 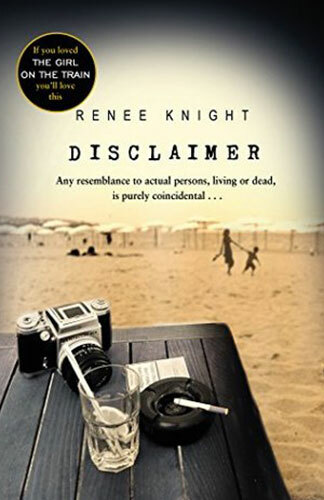 I recommend Disclaimer as a skilful and ingenious merger of the plot-driven and the character-driven.